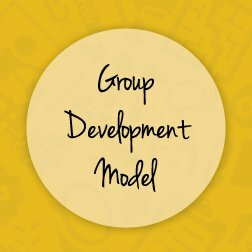 The Group Development Model helps facilitators understand the different stages that your group may experience as they work together. 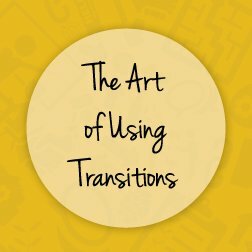 Learn strategies to help move your team through each stage effectively! 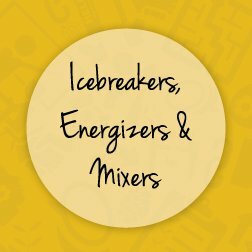 My group is new or going through a personnel change. Main Strategy When Your Team Is Forming: Build team spirit and comfort while providing lots of structure for all activities. Main Strategy When Your Team Is Storming: Listen, address conflict, referee assertively, resolve issues collaboratively. 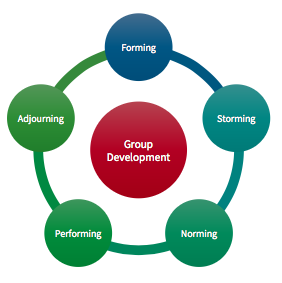 Main Strategy When Your Team Is Norming: Support team improvement efforts and encourage member empowerment. Main Strategy When Your Team Is Performing: Build agendas together, share facilitation responsibilities, collaborate, act as a resource. Main Strategy When Your Team Is Adjourning: Reflection, Evaluation, and Celebration!